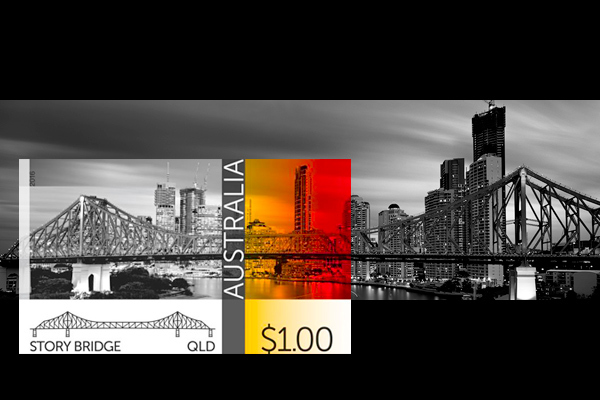 AustralianLight is stoked and proud to have one of our images featured on an official Australian stamp issue commemorating Australian Bridges and the engineering achievements behind them. In particular, Brisbane's heritage listed 75-year-old Story Bridge will for the first time be featured, and with our image! Make sure to check out the "Australian Bridges" collection by AusPost and the Brisbane Times / The Age articles introducing the new stamps. The collection itself is due to be released on the 15th of March and will be available until sold out.